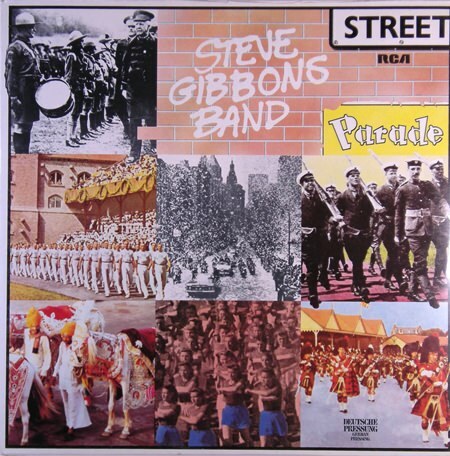 Steve Gibbons continues to be helplessly nostalgic – but in his own very captivating way. Gibbons’ rear-view mirror views have a purpose and make sense. Whether he throws himself wide-eyed into childhood (as he does in the street marching title track) or is scraping authentic British rock traditions off the basement club walls, Gibbons knows his rock ‘n’ roll inside-out, there’s no need to rush it. Even when he hits the curves like a runaway train, sobbing like a guy on the brink of losing it, there’s an elegant finish to it. He knows what he’s doing. “Street Parade” is a relatively low-key album. The rockers are on side 2, while side 1 offers the reggae cut “The Human Race”, the blood boiling “Graffiti Man” and a couple of tracks driven by a distinct, fluid, minimalistic guitar-shuffle – J.J. Cale/Dire Straits-style. Gibbons’ croaky voice is extremely likeable, a perfect instrument for these songs. He is a down to earth kind of guy with a big heart, delivering stories for and about ordinary people. Writes strong lyrics too!